If you want to learn more about our products und product groups, the following paragraphs offer you an overview about our products. Lucas is one of the fastest growing additive lines in the consumer automotive industry. A premium line of oils, greases and problem solving additives has helped to firmly establish Lucas as a prominent figure in this marketplace. Lucas has long been directly involved in the American racing industry through multiple vehicle sponsorships and racing event promotions, at all levels. Seeing a need for better lubricants in this industry, the Lucas people went to work again. The end result being a line of high performance engine oils and gear oils that are second-to-none in the racing industry. Lucas racing products have proven themselves on NASCAR, NHRA, IHRA, USHRA and ATPA tracks across the country. Lucas Safeguard Ethanol Fuel Conditioner with Stabilizers was developed to specifically address issues associated with using ethanol based fuels. This applies to E-10, E-15, E-85, pure ethanol and any mixtures in between including gasoline. Our Product is completely soluble in all ethanol fuels and will not harm filters. Lucas Safeguard™ Ethanol Fuel Conditioner with Stabilizers contains effective additives to prevent rust and corrosion associated with the use of ethanol fuels. Safeguard treats up to 80 gallons(302.8) of ethanol fuel. One ounce treats five gallons of ethanol fuel. Our new 5.25 oz bottle treats up to 25 gallons (94.6 liters) of ethanol fuel. Recommended for use in automobile and marine applications. NOT RECOMMENDED FOR DIESEL APPLICATIONS! Lucas Super Coolant has been scientifically formulated to provide the ultimate protection in automotive and racing cooling systems. It protects the entire system from rust, corrosion and electrolysis including aluminum. Our unique formula prevents deposits that can cause overheating, and has been proven to reduce coolant temperatures up to 20°F. Lower cylinder head temperatures means advanced ignition and more horsepower. For street vehicles requiring freeze protection, add 1 bottle to 50/50 mix. For racing and high performance applications, add 2 bottles to straight water coolant for maximum temperature reduction. One bottle treats 12-20 quarts of a 50/50 water antifreeze mix. Two bottles are required for straight water coolant. For passenger cars, light trucks and SUV's use every 30,000 miles. For racing applications use every race as needed. With engine off and cool, shake bottle and pour into radiator. Start engine, turn heat on high and run for 10-15 minutes to circulate through entire cooling system. If straight water coolant is used, tap water or softened water is recommended. DO NOT use distilled water unless mixed with 50% antifreeze. Lucas Hot Rod & Classic Car Motor Oil SAE 10W-30 is manufactured with the highest quality paraffinic base oils and is fortified with a unique additive package containing high levels of zinc, molybdenum and phosphorus, which provides a tougher, thicker additive film for maximum protection even under the most severe conditions. It lowers oil temperatures, extends oil life and minimizes metal fatigue. It improves the film strength between the cylinder wall and piston rings and slows oil burning and improves pressure in worn engines. It has good cold temperature properties and stands up to high operating temperatures. It is compatible with methanol and all racing fuels, as well as with synthetic and non-synthetic oils. Lucas Hot Rod & Classic Car Motor Oil SAE 10W-30 is for muscle, showroom, classic and trophy cars without catalytic converters. It can be used in racing applications. Not recommended for passenger car use. Why are Lithium Pros batteries the number one battery in drag racing? What are the benefits of Lithium Pros batteries in road racing and circle track? Great querstions. The reasons for moving to a Lithium Pros lithium ion racing battery are many! Lithium ion batteries pack a lot of energy in a small spot. That's why Lithium Pros batteries are inherently light and small. They are perfekt for racing where every fraction of a pound counts. The cost per kilo saved is approximately 80 € . If you are considering carbon fiber or titanium weight saving techniques, you should seriously consider a Lithium Pros battery upgrade first. Lithium Pros batteries average 0,8 V higher during discharge vs. a lead acid battery. A flat discharge curve means better performance all the way to the finish. 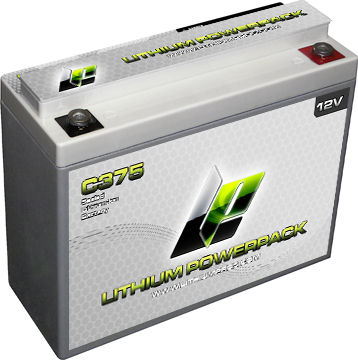 Lithium Pros batteries can accept charge current at up to 5x faster than a lead acid battery. Why? Because a Lithium Pros battery will accept full charge current right up to 97% state of charge spending most of its time in bulk charge mode. In addition, less energy is wasted during charging. This means less on the charger and better energy conversion from your alternator. Lithium Pros batteries have no problem in a hight vibration environment. Off-road, on the water, in the dirt, or through tire shake Lithium Pros batteries are build to take it. That depends on your application and use but in general Lithium Pros batteries properly sized for the engine, operating within their accepted voltage range, and used at room temperature will last 10 years! The average Depth of Discharge, the pulse discharge loads, and hight temperature all work together to reduce the life of any lithium ion battery from its projected life span. Lithium Pros batteries can be operated from -20°F / -28,9°C to 140°F / 60°C but last longer when consistently used below 100°F / 37,8°C. For more information about the products of LithiumPros please download the latest manufacturer catalog. Lucas Slick Mist Tire & Trim Shine is a treatment spray exclusively formulated by Lucas Oil Products designed to give Tires and Trim a long lasting “like-new” shine. Use Slick Mist Tire Shine to remove dull, grey oxidation from Bumpers, Tires, Plastic, or any Rubber and Vinyl Trim.